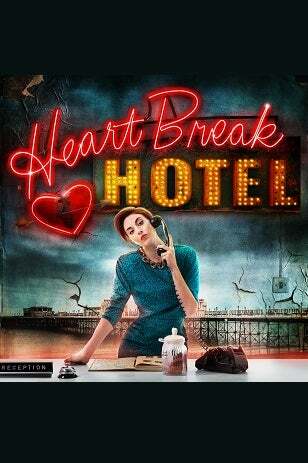 We do not curently have theatre tickets available for Heartbreak Hotel. This could be because we have simply sold out or it could be that this show is no longer running. The information on this page remains purely for historical and informational purposes. This summer, The Jetty  London’s most exciting new riverside arts venue - is transformed into the Heartbreak Hotel, an intricately designed purpose built structure where the audience check-in to an immersive and unique theatre event. Zoe Wellman of Zebedee Productions said, "Story, characters and narrative are at the heart of everything we do. Encouraging audiences to emotionally invest with the characters they meet, by relating to the stories being played out. Parts of the show are quite surreal but the characters and the experiences are all very human. Audience members are in for an emotional rollercoaster as we explore what it means to be Heartbroken, and the lengths people will go to overcome it. Unlike other immersive productions, where you have to hunt for the narrative, we bring the story to you." Welcome to Heartbreak Hotel, a Utopia forlost souls and broken hearts, once a diamond on the English coastline, now as dilapidated and mysterious as thecharacters within its walls. On arrival, why not check in at the concierge desk opposite North Greenwich tube station to an experience that starts as soon as you set foot on the Greenwich Peninsula (right next to the O2). After a short walk, you’ll discover an abandoned industrial jetty that has been turned into London's most exciting live arts venue. The Jetty offers the best in immersive theatre, live music, a pop-up cocktail bar, high-quality street food and spectacular views across the Thames.